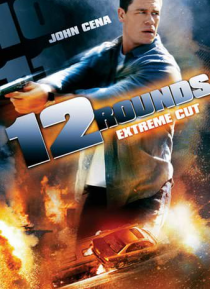 Get even more pulse-pounding action in this special cut of 12 ROUNDS! When New Orleans Police Detective Danny Fisher stops a brilliant thief from getting away with a multimillion-dollar heist, the thief's girlfriend is accidentally killed. After escaping from prison, the criminal mastermind enacts his revenge, taunting Danny with 12 rounds of near-impossible puzzles and tasks that he must somehow … complete to save the life of the woman he loves.